See real-time feed and get instant alerts to be aware of errors as they appear. Use fingerprinting to improve you signal-to-noise ratio, so you won't miss what matters. Assign owners to errors, or create a ticket in your issue tracking tool based on priority. When the error is resolved in Rollbar, the ticket is automatically resolved. 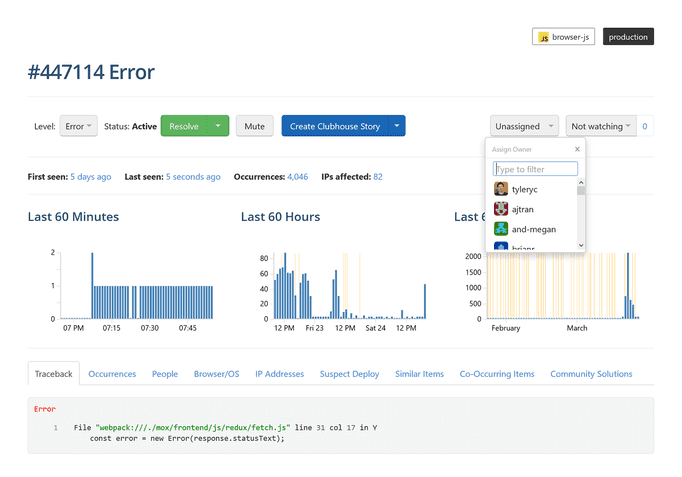 Get stack trace and all the data you need to debug, including request params, local var values, browsers, IPs, and more. 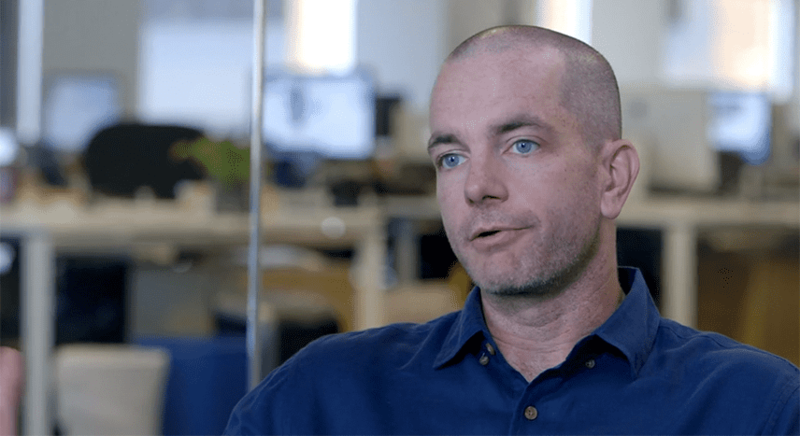 Use Telemetry feature to retrace browser events leading up to an error. 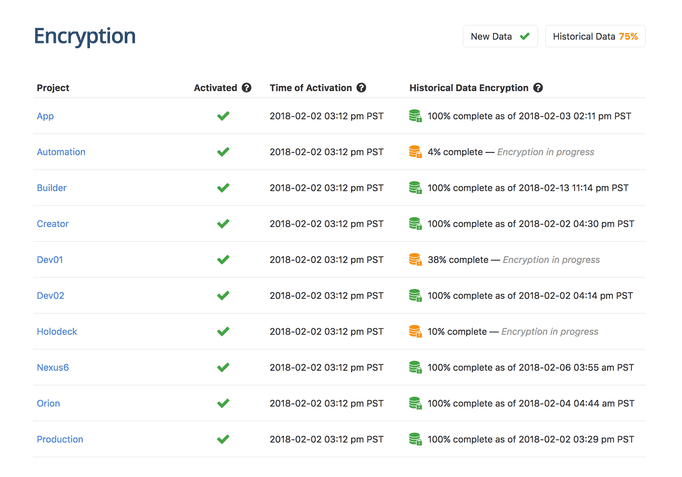 Protect your data with encryption at rest. Secure access to the application, manage and provision users, and enable data scrubbing for privacy and compliance. 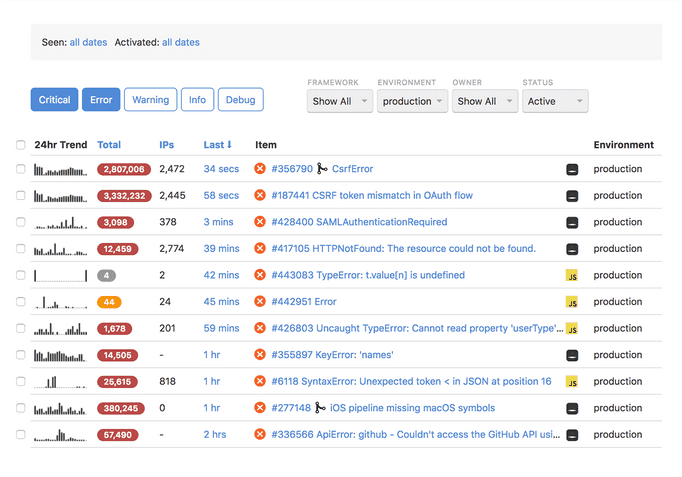 Instrument your apps to detect and report errors using our open source SDKs. Lightweight, agentless, and so easy to install it'll only take minutes. All popular programming languages and frameworks are supported. Rollbar works where you do. 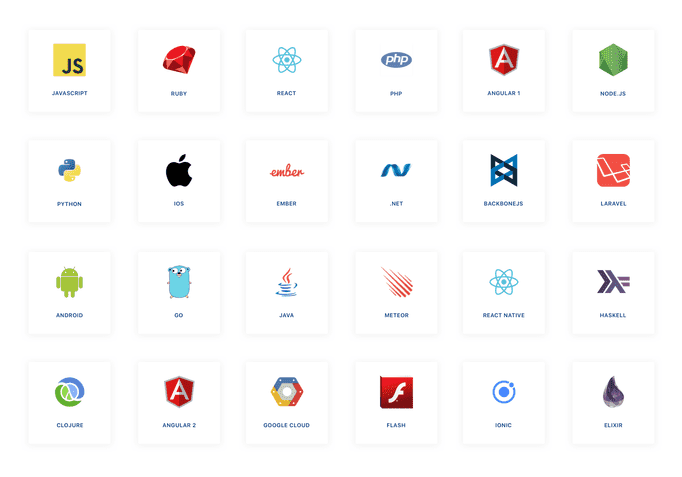 It comes with native integrations with the tools you use. 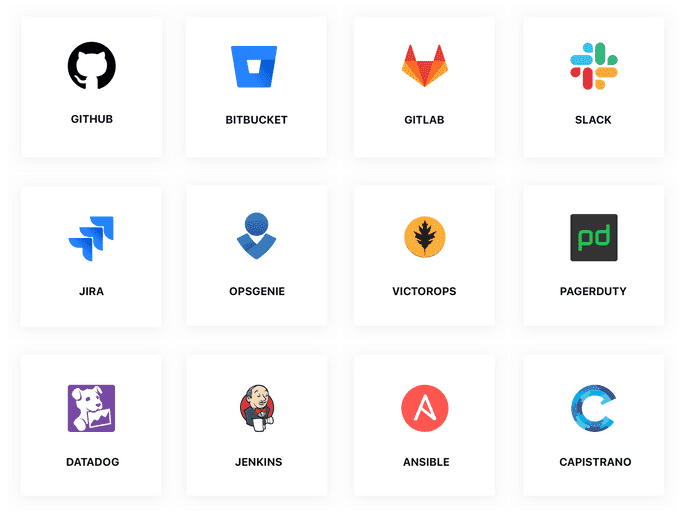 Use webhooks and our full-featured REST API to create custom integrations, export data, and more. There are so many emotional pains developers and operators have from all kinds of hideous errors they have shipped. What if you could make that go away? That’s what Rollbar does. 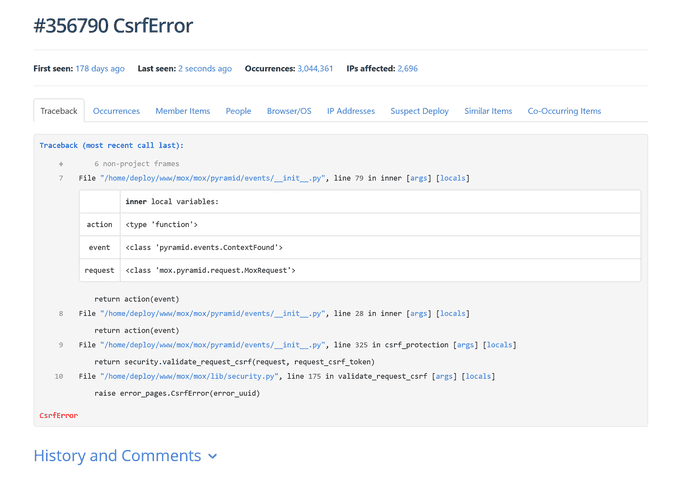 Read how to instrument your app to catch errors, integrate Rollbar with your current tools, use our API, and more.